Developer Grocon has launched to market a new apartment development in the heart of Spring Street in Melbourne. 85 Spring Street development will feature 183 apartments over 39 floors, with interiors designed by Kerry Phelan KPDO. 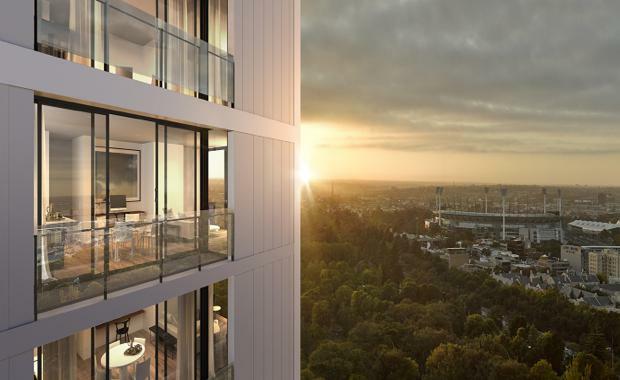 The building has views which will extend to the east over Treasury Gardens, north over Parliament House and the Exhibition Buildings, south east to the MCG and Yarra Park and south over the city to the bay beyond. Grocon’s Head of Developments, Dan McLennan said the project and its location represented an exceptional opportunity. “The building has been designed to positively contribute to Melbourne’s skyline and endure into the future as one of the city’s very best residential addresses," he said.